Results from a study comparing the pharmacodynamics of Tresiba (insulin degludec) with insulin glargine U300 in people with type 1 diabetes revealed that Tresiba results in lower day-to-day and within-day variability in glucose-lowering effect, compared with insulin glargine U300 (0.4 U/kg). The study showed that the day-to-day variability was approximately four times lower with Tresiba than with insulin glargine U300. Within-day variability was approximately 40% lower with Tresiba, with the glucose-lowering effect being more evenly distributed across 24 hours compared to insulin glargine U300. In addition, insulin glargine U300 showed a 30% lower potency assessed by the total glucose-lowering effect compared to Tresiba. The results were taken from the NN1250-4227 study, a phase 1, single-centre, double-blind, two-period, cross-over trial where people with type 1 diabetes were randomly assigned to receive Tresiba or insulin glargine U300 at a dose of 0.4 U/kg/day. In all, 57 people completed the study. Both treatments were administered once daily for 12 days, followed by a 7-21 day period in which the participants received no study treatment, before being crossed over to receive the other treatment for a further 12 days. In order to assess the pharmacodynamic variability in the glucose-lowering effect of Tresiba and insulin glargine U300, each participant underwent six 24-hour glucose clamps (three during each 12-day study period) performed at steady state (where glucose levels are stabilised in the participants). 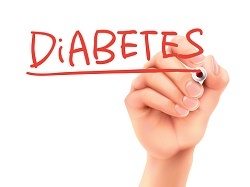 The results were presented at the 16th Annual Diabetes Technology Meeting in Bethesda, US.